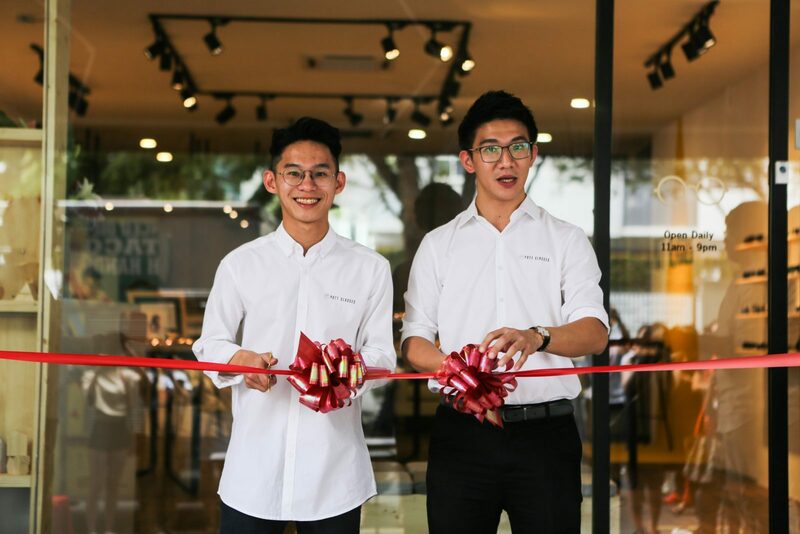 Last Sunday was the grand opening of our third outlet at Sri petaling. We are glad that we are able to achieve this important milestone as we planned for this year. Running this brand for three years, and we are proud as a conventional business because we are growing quite fast. 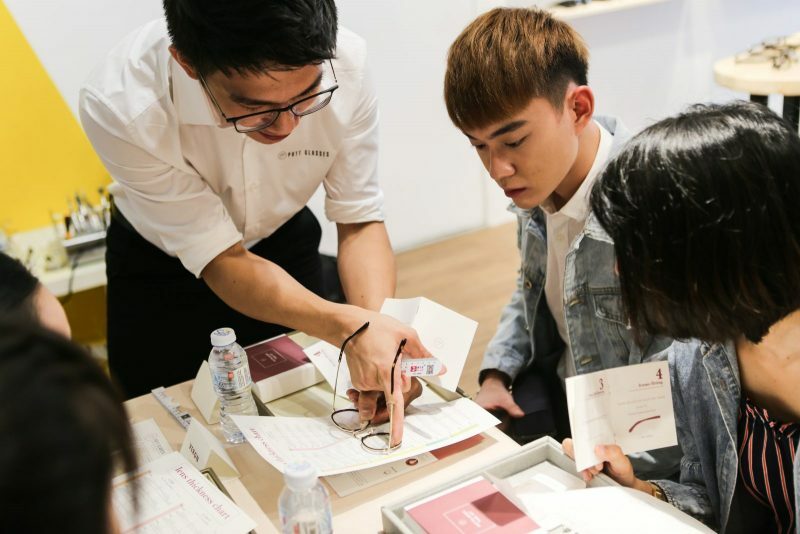 We had hosted a workshop which will be sharing with our important guests that how they could get a perfect pair of glasses. At Pott Glasses, our optical stylist provide bespoke advice on the choice of glasses. We take into account the face shape, the outfit and the occasion to emphasise your own face to best effect. Through this workshop, we shared with them more on the technical side and how we deliver our service and products. Speaker of the workshop and also one of our founder, Eden. A passionate and experienced senior optician. 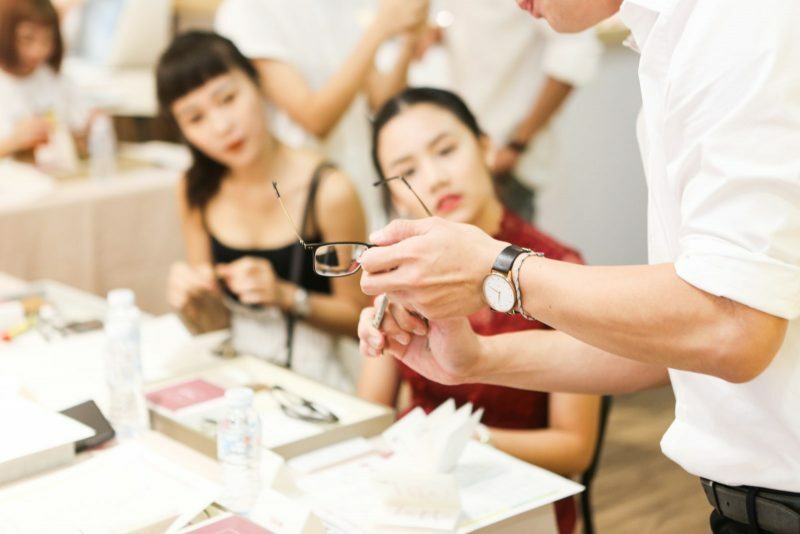 He shared with us that from understanding the prescription, pupillary distance, lens thickness, frame fitting to material of the frame are all very important when comes to choosing a perfect pair of glasses for us. Besides, Eden also had shared with us that choosing a perfect pair of glasses for individual, their lifestyle and occupation also shall take into account when choose the right frame and lens. 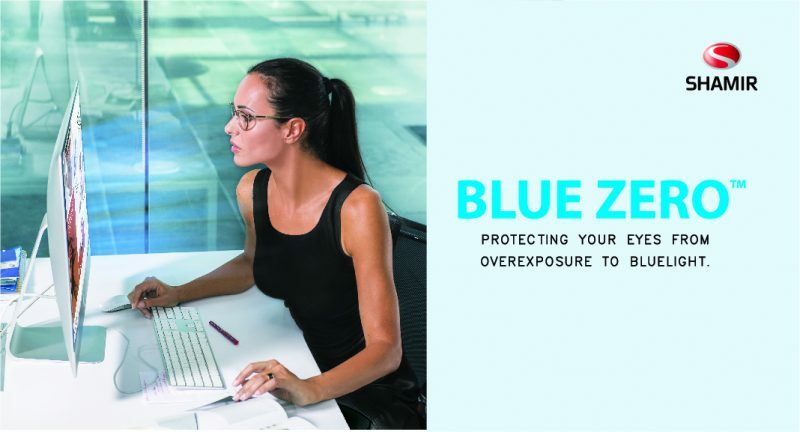 Shamir Blue Zero Lens from Eye Point Technology, a lens material with built-in protection from harmful artificial light e.g. from TV, computer screen, smartphones and in-door lightings. It is a unique polymer that absorbs HEV or blue light while maintaining clarity which is a good lens choice that suits most people due to growing awareness today of the potential harmful effects of the blue light emitted by all manner of digital screens and artificial lights. Furthermore, it is recommended to combine Shamir Relax with Shamir Blue Zero. Shamir Relax is an advanced single visions lens available in 3 versions, providing just the extra bit of power in the lower lens area that eyes need to meet the accommodative challenges of today’s use of digital screens. 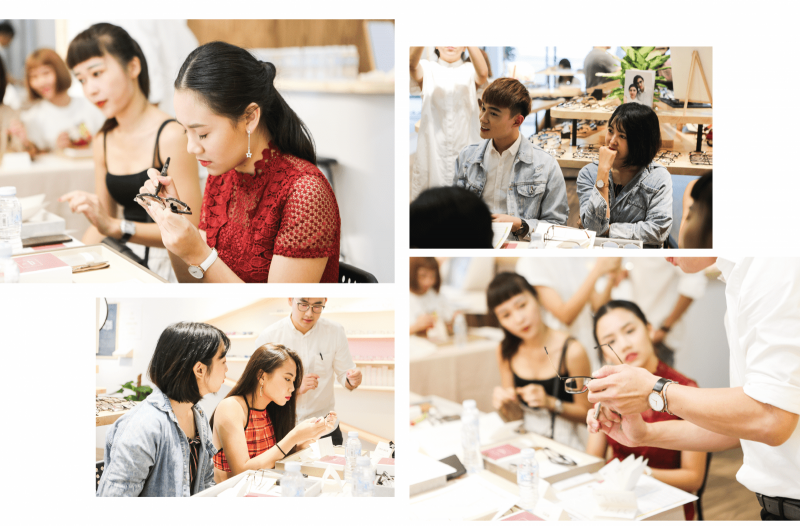 Also, it is our pleasure to have Shu Wen, Tiffany, Veron, Joo Yi, Sam, Joanne, Serena and Randy to be our sit in guest for the workshop. 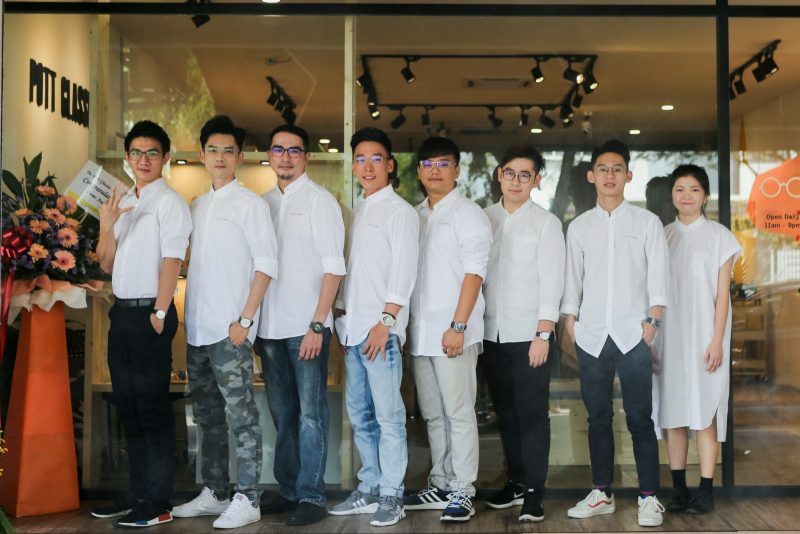 All of them are very inspiring and talented young influencer where our team look up to. Last but not least, we would like thanks for the continuous support from our friends and family. We strive to serve you all better and provide a better experiences.